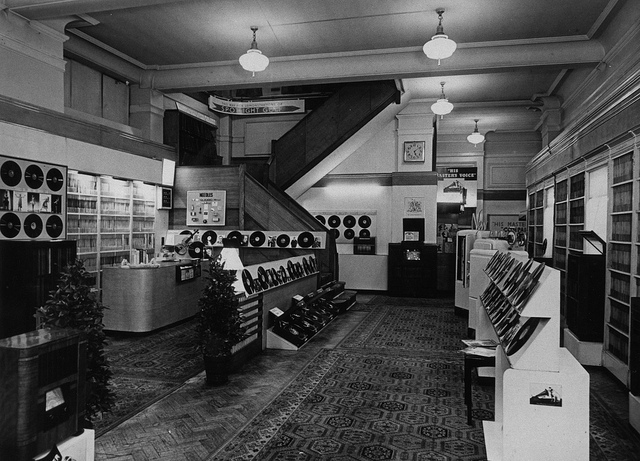 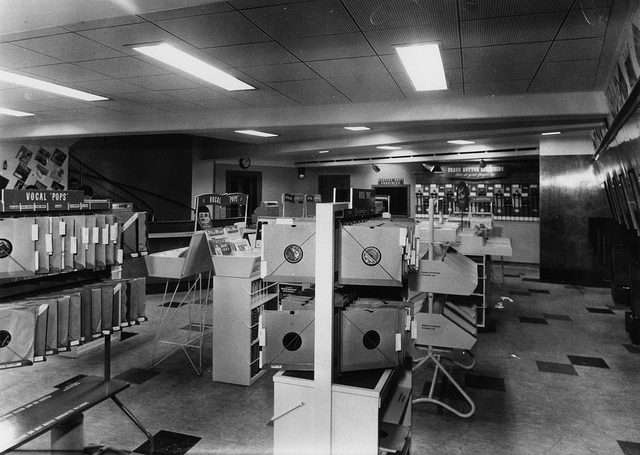 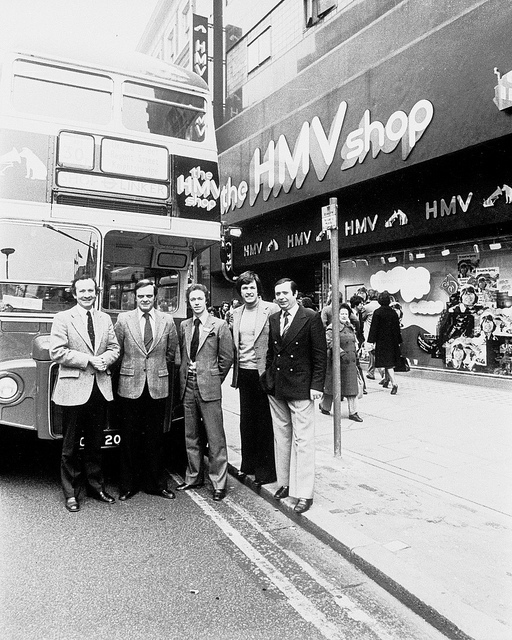 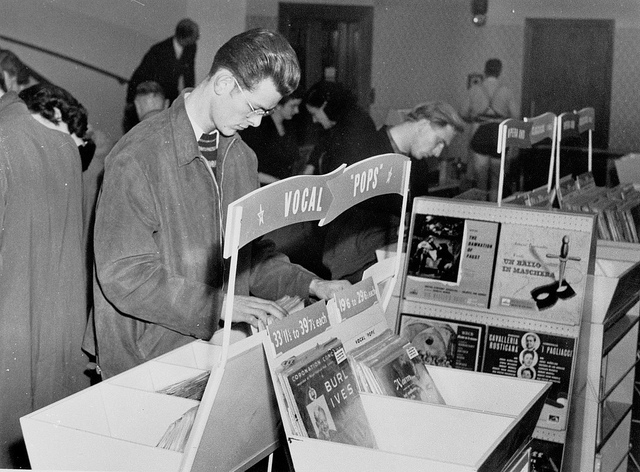 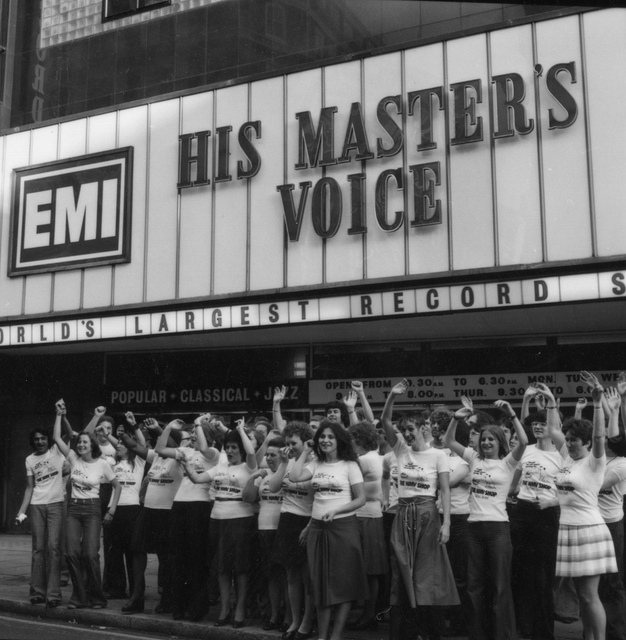 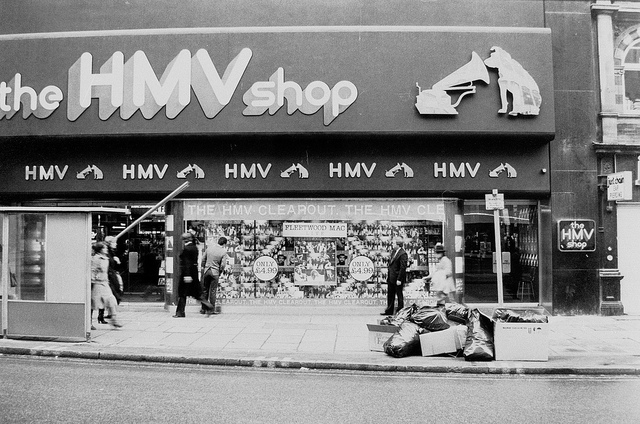 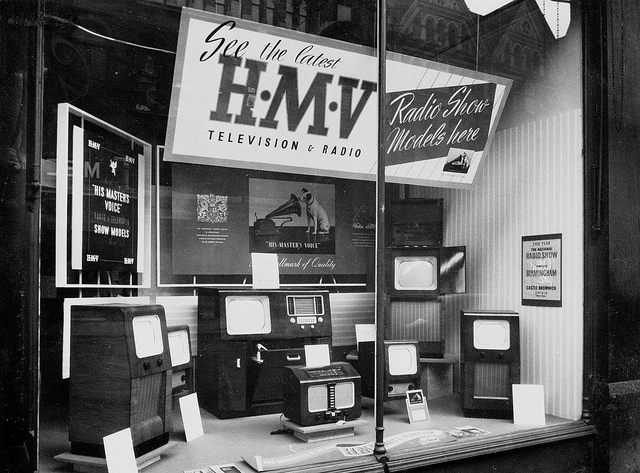 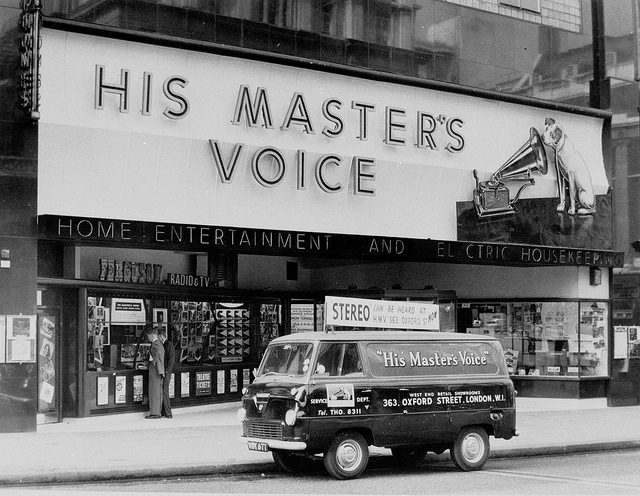 After the runaway success of our Inside the Oxford Street HMV Store in the Sixties post, we thought we’d have another look around the world wide web for pictures of the shop in other decades. 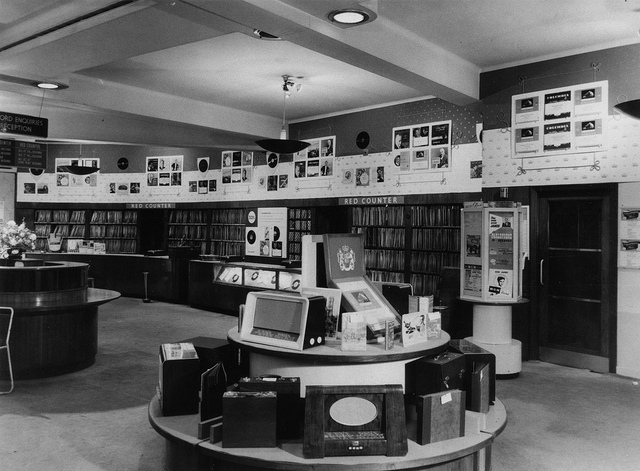 We expected to find a few photos of the London store, however we have found loads! 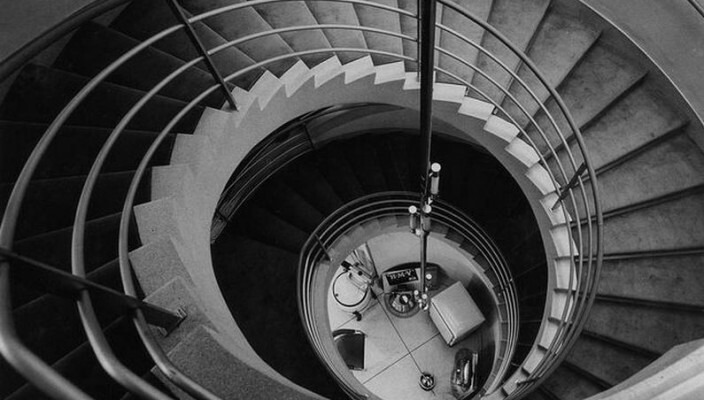 The pictures range from the 1930s to 1970s, there are a few 1960s ones that we’ve featured, but from different angles, such as the much talked about spiral staircase. 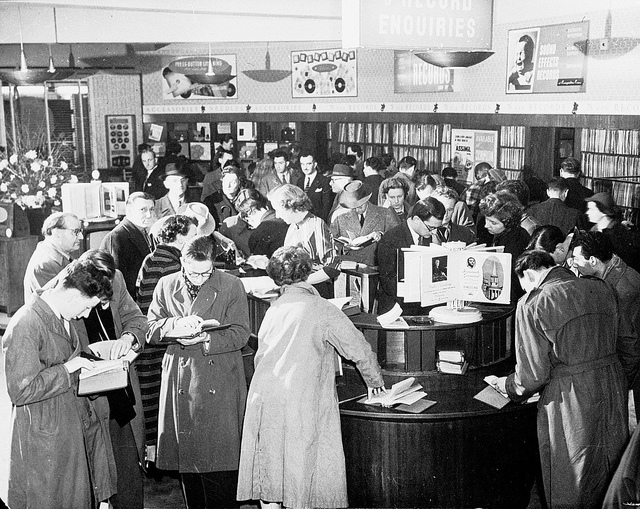 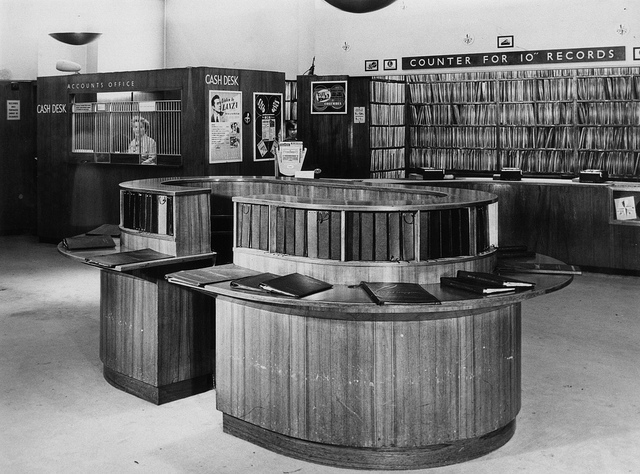 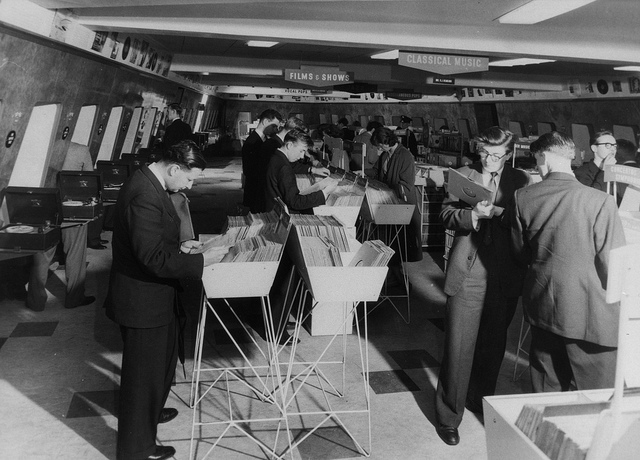 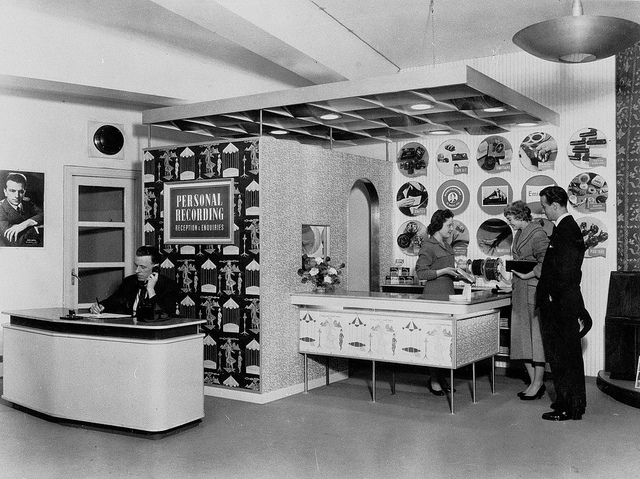 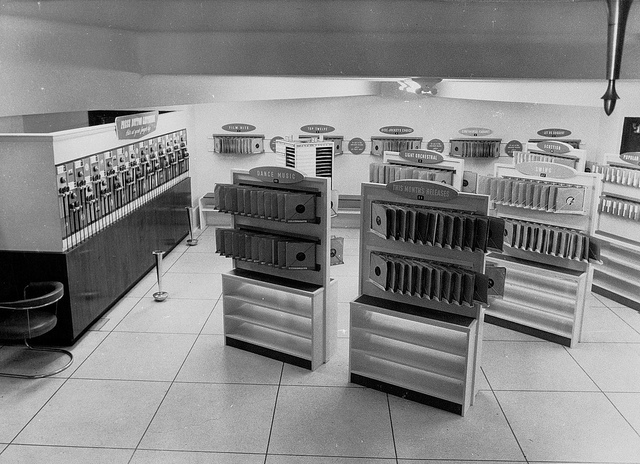 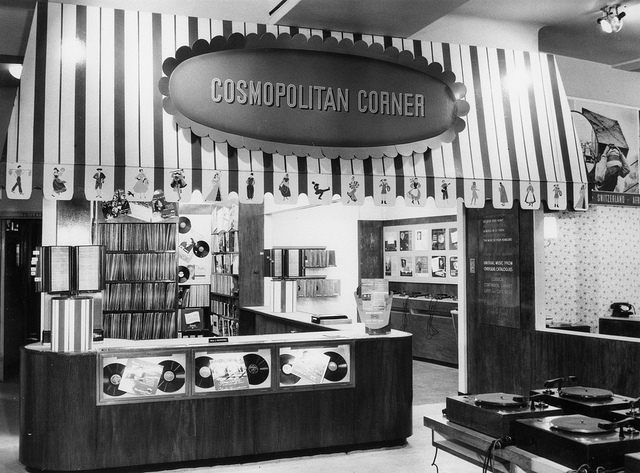 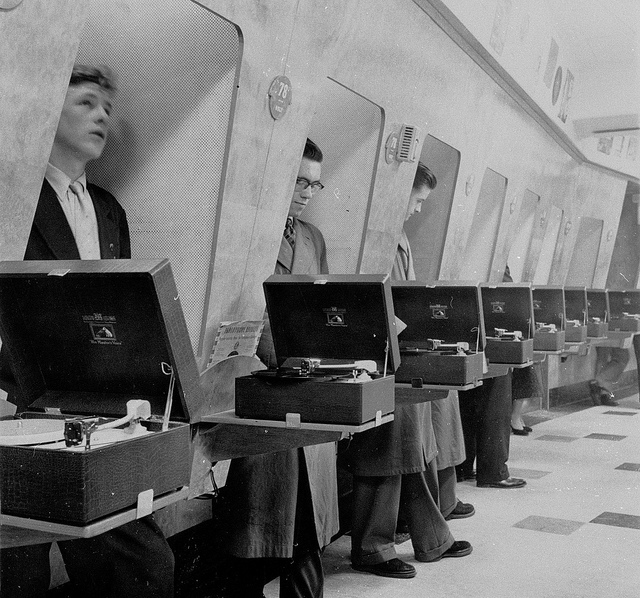 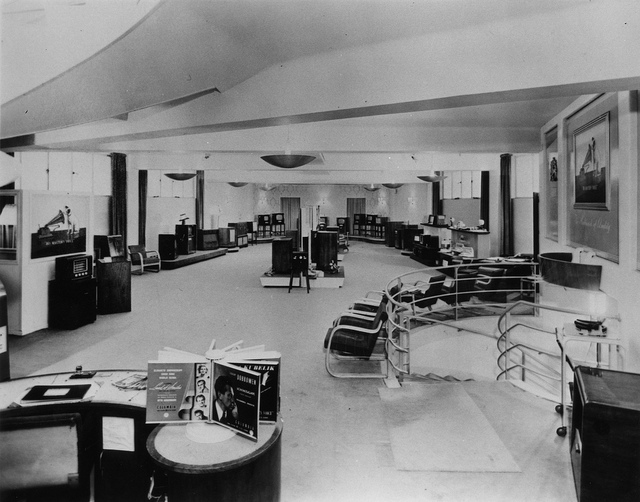 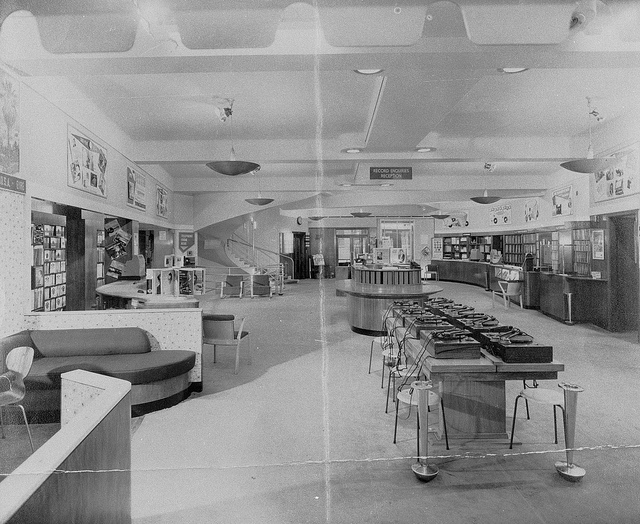 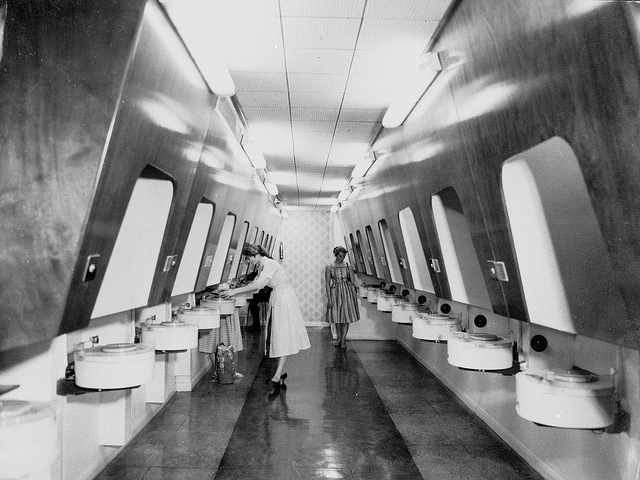 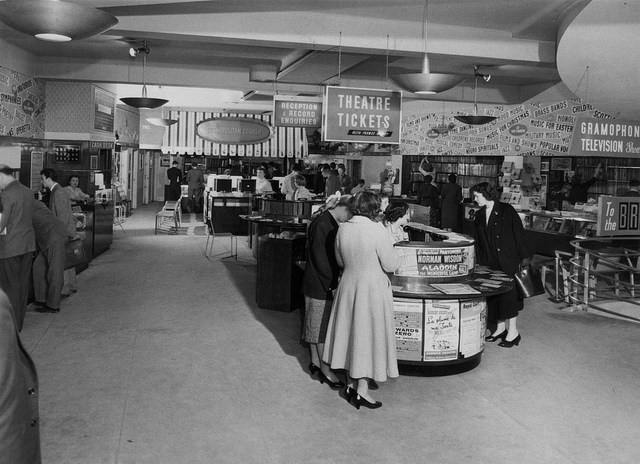 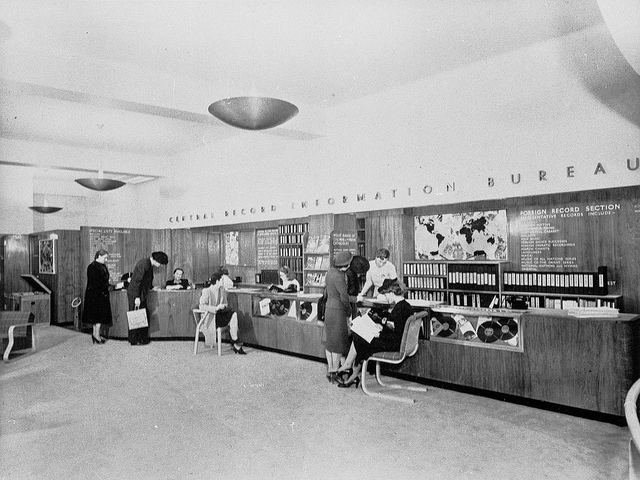 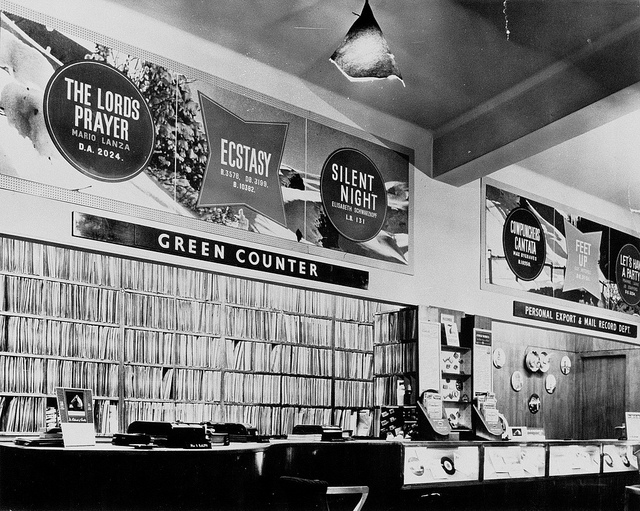 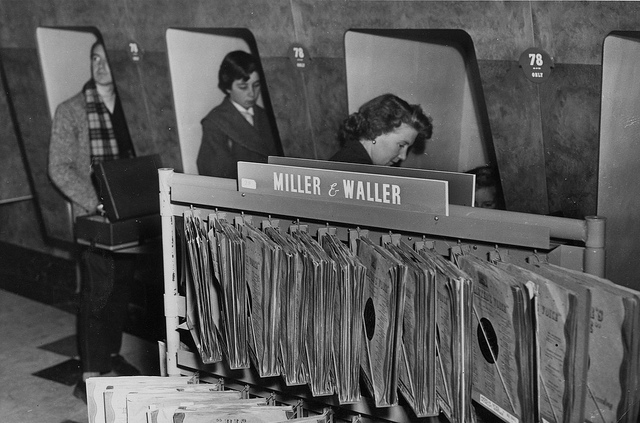 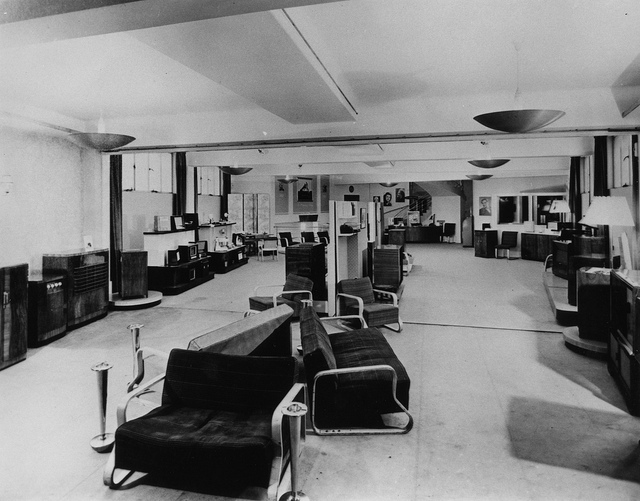 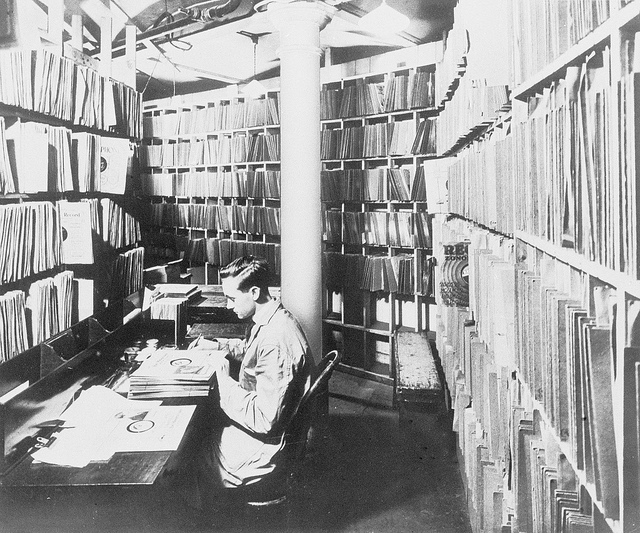 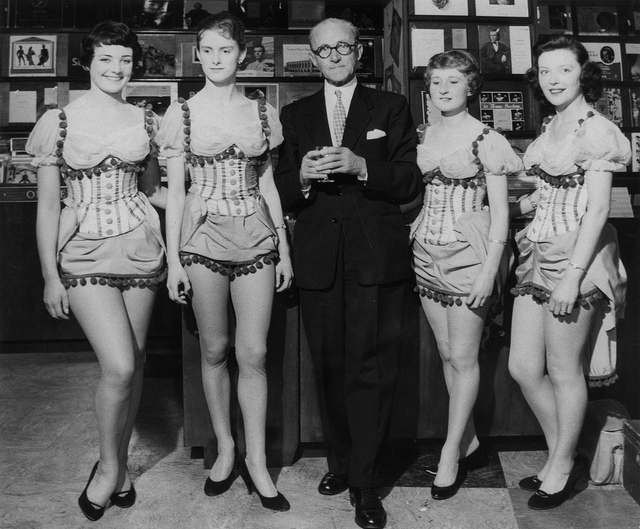 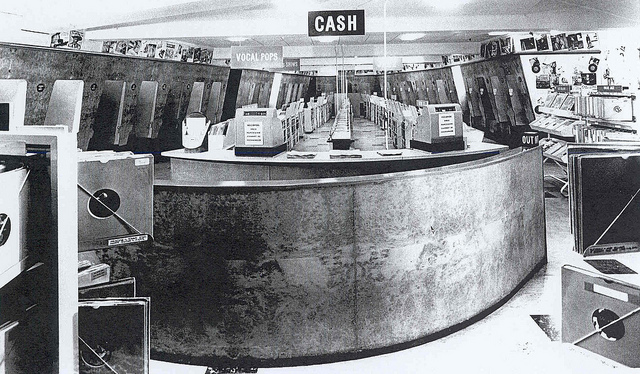 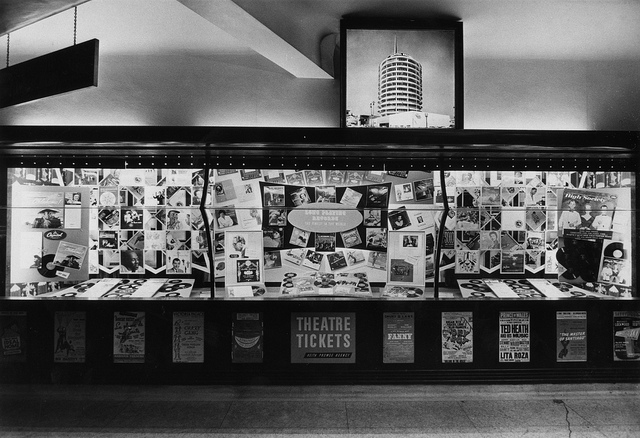 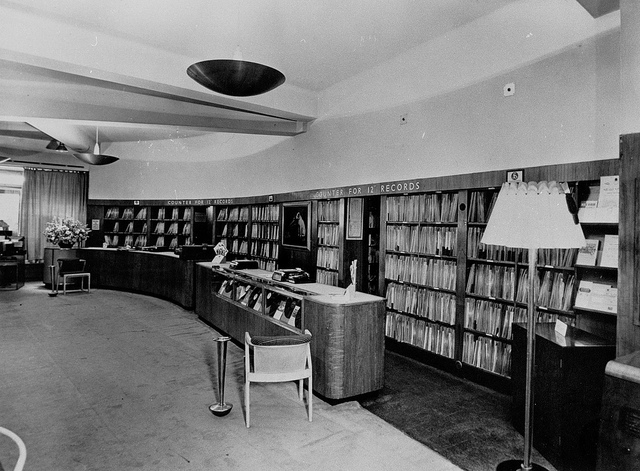 As well as lots of pictures of vinyl there are photos of the listening booths, The central record information bureau, the store room and a young lady in the 1950s giving a mixing demonstration in the store…. 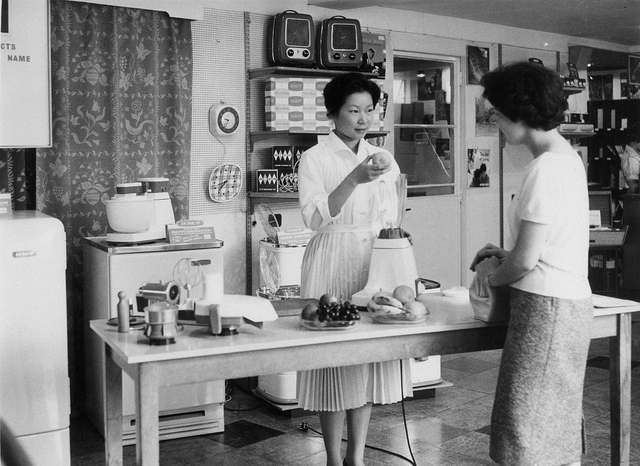 with a food blender.